For a little fun, we decided to tinker with cardiac monitoring and simple prototyping of wave morphology via common components. 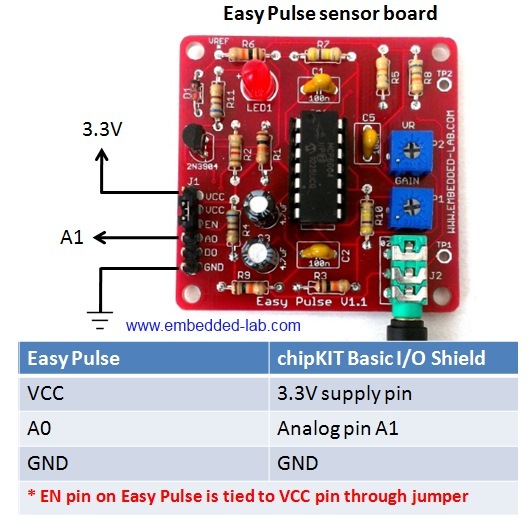 After we finishing, we wanted to post our little project to share with the world… so if you’ve got a chipKIT lying around and some free time, see if you can build your own pulse meter! In order to build this project, you’ll need following things. The OLED display on the Basic I/O Shield is driven through SPI interface. This requires the JP4 jumper on chipKIT Uno32 board be placed on the RG9 position so that the SPI SS function is available on Pin 10. 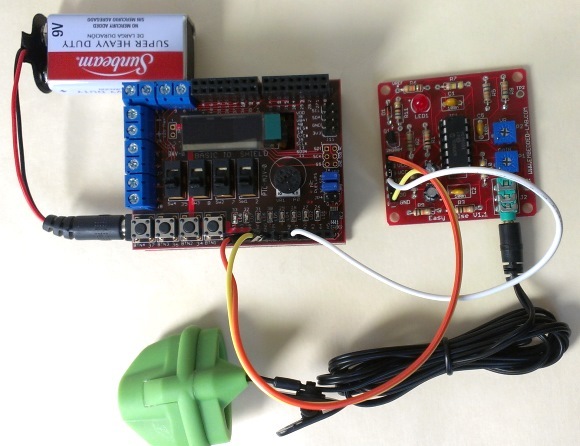 Read our tutorial Exploring the chipKIT Uno32 for more details on jumper functions and settings on the Uno32 board. The following picture shows the required jumper settings on Uno32 board for this project. The firmware of this project is based on the same algorithm as used in our previous project PC-based heart rate monitor. The algorithm used by the PC application before is now implemented in the firmware of Uno32. 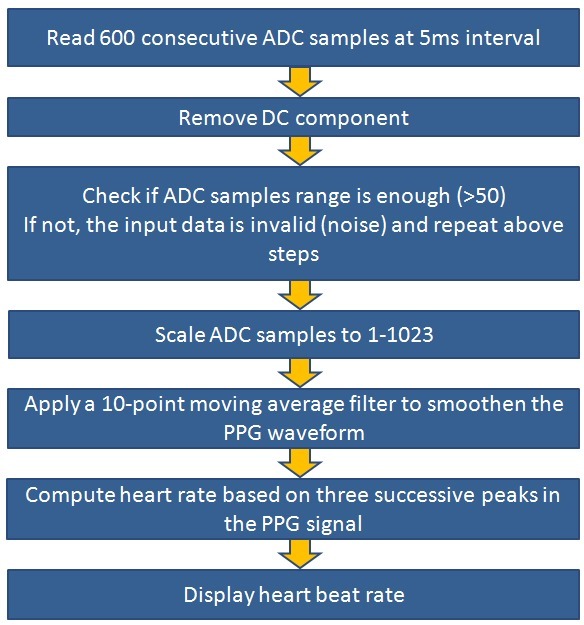 The following flowchart shows the algorithm used to compute the pulse rate. Now plugin the Basic I/O shield on top of the Uno32 board and connect the Easy Pulse sensor power supply and the analog PPG output pins to the I/O shield as shown in the following figure. The PPG waveform and the pulse rate (in beats per minute, BPM) are both displayed on the OLED screen of the I/O shield. 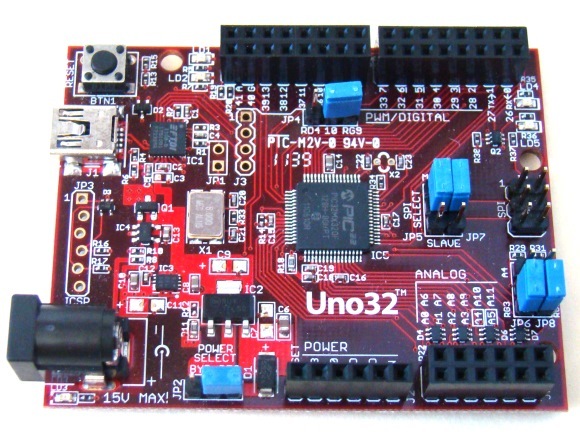 The Uno32 sketch uses the chipKIT I/O Shield library to display data on the OLED. Unzip the downloaded sketch folder and upload the sketch named P3_Uno32_PulseMeter.pde to the Uno32 board.